Just a quickie today (it’s Sunday and I feel lazy). 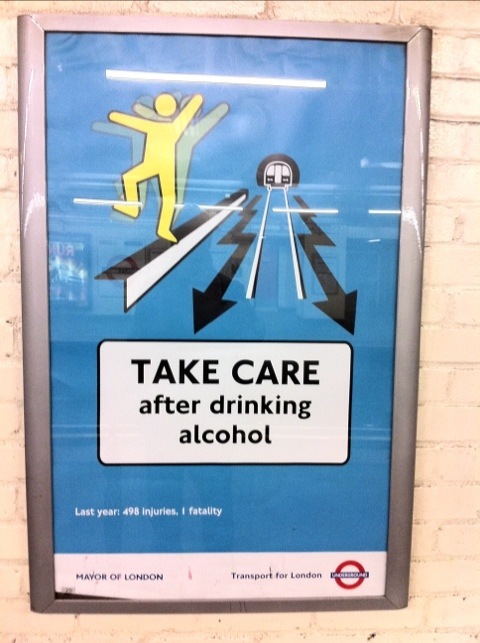 Saw this on my journey to work and, although the message is serious, it still make me chuckle. Tried to come up with my own slogans but am sure I am missing a good one. Any suggestions welcome. 1) don’t dance on model railways. 2) always wave goodbye to the train. 3) when dancing on the platform, do the locomotion. 4) warning. Drinking can make you dance like your dad.